We’re the team creating a loyal customer base by making sure every order goes perfectly, every time. We collaborate with suppliers, negotiate with carriers, and manage warehouse operations, and every day brings a new challenge and need for innovation. 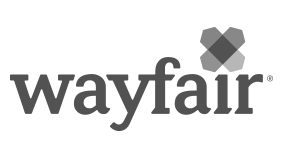 Whether we’re rolling out Wayfair-run delivery hubs or helping customers track their orders through our app, we take the lead in providing our shoppers with the greatest service experience in e-commerce.